The BoBunny Blog: CHA Sneak Peek! Blossoms, Lace and Double Dot! CHA Sneak Peek! 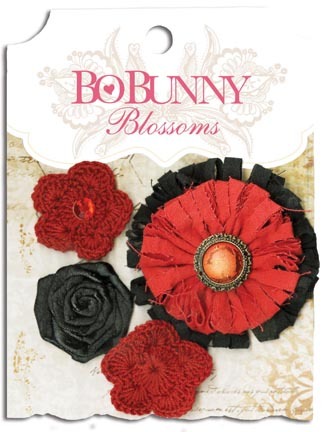 Blossoms, Lace and Double Dot! 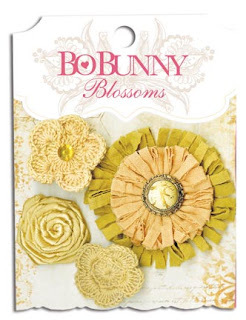 Ok, let's start out these peeks with the products I'm most excited about, BoBunny's NEW Blossoms and Lace! 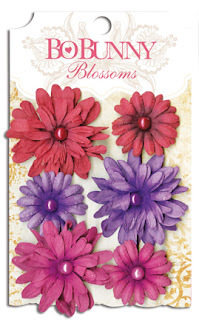 We have 5 different styles in 8 different color options (Blush, Buttercup, Clover, Denim Blue, Harvest Orange, Natural Earth, Plum Purple, and Wildberry), plus fabulous coordinating lace in 8 colors. Gorgeous!! AND...NEW DOUBLE DOT 6x6 PAPER PADS! I wish you could see these in person, these pics just don't do them justice! Sometimes you just have to hold things in your hand to get the full effect! What are your thoughts? Are you as excited as we are? If you are then leave us a comment and you could win some new BoBunny product! And keep this page bookmarked because we'll be sneaking our new collections and giving away prizes all week long! So excited!!!! Everything looks gorgeous! Can't wait to get me some!!!!!!!! Wow! That's really awesome!! Love the flowers and new paper! Very beautiful! Wow!!! Love what I see here!!! If this collection looks better in person, WOW! The photos show some amazing colors! OMGOSH! I'm sooo EXCITED! LOVE these colors! I am so excited for this! Whooo hoooo more yummy goodies on the way! so beautiful and the colors! I love the flowers and lace - especially the pansies and the wide lace. And I'm a huge fan of the double dot papers! Thanks for the chance to win. Ohhhh, how awesome all these beautiful flowers and laces are, I'm in love !!!! Oh My Goodness these are so gorgeous! 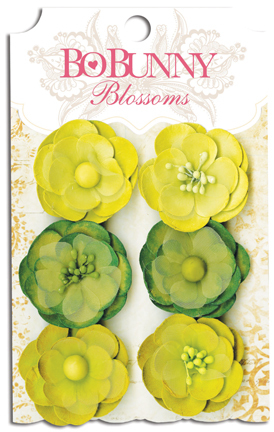 I am mesmerized by all the colors and totally in love with the flower styles!! wow...how lovely! I really love these flowers! 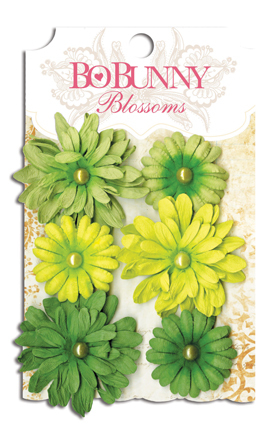 Especially Zinnia, Daisy and Bouquet lines. These are soo gorgeous! I am so excited that you are doing lots of flowers and lace! 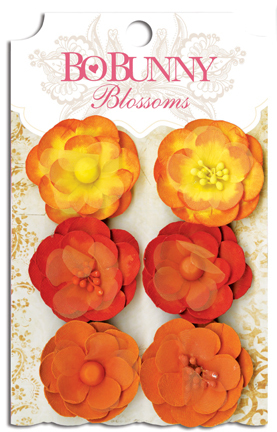 I especially love the Dahlia and Zinnia...actually i love it all! Everything is absolutely beautiful! Amazing flowers, lace & dotty papers - can feel the seasons in each colorway. Love it! EEK!!! These are all beautiful!!! Fun stuff! 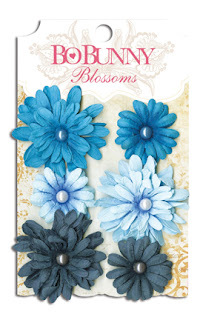 I really like the colors of the Double Dot and the lace and flowers are goreous! OMGSH...I HAVE to HAVE all of that LACE!!! And the double dot collection packs...wow, WOW!! OMG, just when I thought Bo Bunny couldn't possibly get any better!! Those flowers and lace are to die for, sooooo gorgeous! I want them all! And I love the new pp colors! 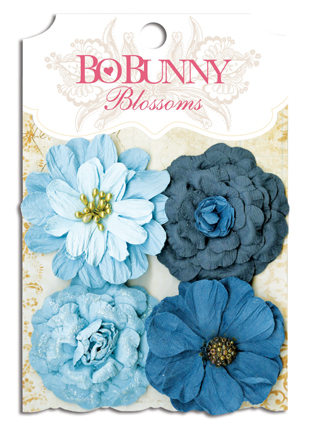 Everything looks amazing, Bo Bunny never stops surprising us with gorgeousness!!!!!!!!! OMG these are awsome!! I want them all I'm in looooooooooooooooooooooove!! 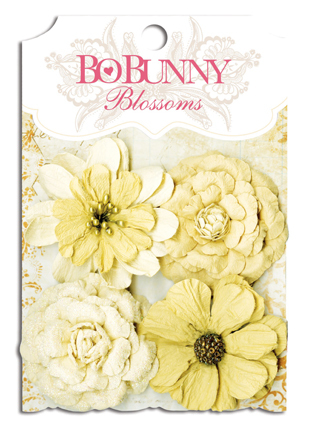 I am in LOVE with the lace and the blossoms!! I have this feeling that I will NEED them! i am LOVING all the flowers and laces in each and every color!! i see some wear-able art in the making!! Wahoooooooo, love seeing all the new bo bunny goodies coming out!!!!!!! Wooohhhoooo! Love Everything...I think the hubby is going to have to find a second job!! LOVE IT ALL!!!! Those flowers are AMAZING!! 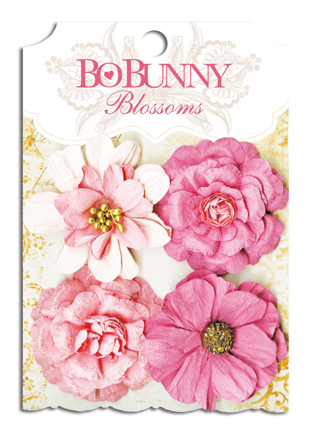 OMG - love everything - Bo Bunny has always the most beautiful! Can't wait to get my hands on some! The flowers and trim are fabulous! Love the lace and the daisies. Just added these to my wish list. 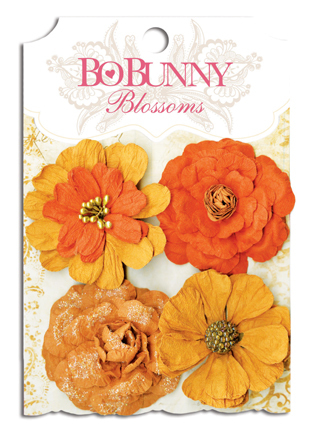 LOVE all that lace and blossoms! Dahlias and Zinnias are my favorite especially the red and black. Can't wait till they are available to buy. ooooooh I'm so enjoying... all these flowers... I'm in heaven!! So gorgeous. Wow! Absolutely breath taking! Can't wait to get a hold of those flowers especially! These look absolutely marvelous. Love the colors!! Would love to see them in person. Wow, yes I am excited! 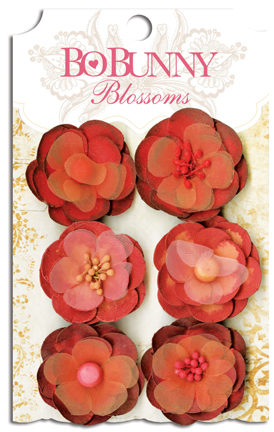 I am always eager to try out new things in scrapbooking. I also love flowers, fabric or paper its always a go! Oh wow, look at all of those beautiful blossoms and gorgeous lace! So excited about these! Those are all too adorable! I absolutely need those flowers, one in each color of course! I need to have all that new goodness. Love all the flowers, the pink ones are my favorite! Oh the things I have in my mind to do with these!! They look awesome! 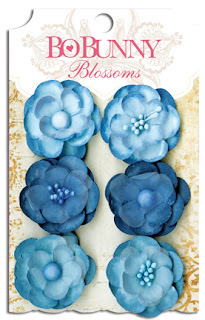 Can't wait to try them on my pages! Love Love it all, thanks for the sneak peaks!! Love the dot paper packs and lace. I'm going to have to have all the colors. Can't wait to see the paper! Everything is beautiful, but I'm drooooooling over the double dot paper!! Beautiful colors!! Love the polka dots! Oh my goodness! Loving the flowers and the paper packs are the BOMB! I lovelovelove all of that lace and those crocheted flowers! I need it all!!! What great additions to your product lines!! I will be stalking the stores! These flowers are just my style. Love the shapes, the colors, the size. Can hardly wait! Thanks for a great new product. LOVE it!!! Can't wait to get those 6x6 pads in my hands!!! Gorgeous new products, the colors are perfect! Wow! I love these new products. I love the flowers. There are so many to choose from. It's awesome to have the 6x6 pads too! So exciting!!! 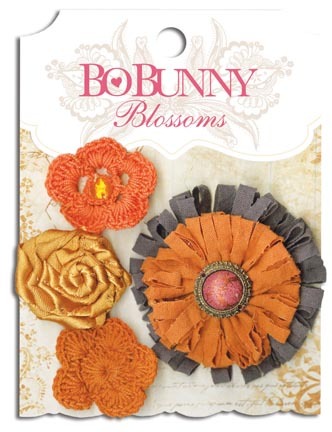 Love the colors and all the flowers and trims!! very pretty! and all of it so useful! YEAH !! Blossoms and lace AWESOME COLORS !!!! 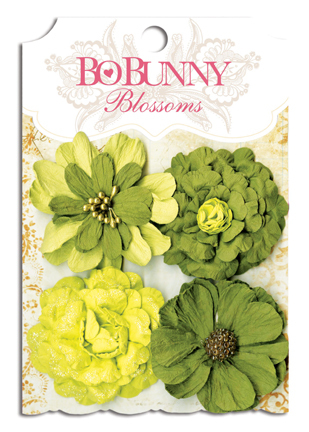 I am obsessed with Bo Bunny Double Dot! So excited that these will be available in paper pads! wow what pretty colors i love the dot paper working on album for my grand baby those would go so well with it. 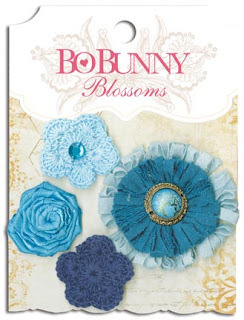 I have always loved BoBunny Double Dot and flowers so this is super exciting to have lace, flowers and more dd colors!!!! LOVE IT!!!! Oh my, I need it ALL!!! When will the new products be in retail stores? OMG!!!! Sorry for the acronym - it is so predictable, uh? But that's truly what i said out loud when i saw all those flowers and lace!!! The colors!!! wow! I cannot wait to have some in my hands!!! Wow, love those new flowers! Can't wait to get my hands on them! Top of my list is the Natural Necessities!!! LOVE it! Love the new flowers and lace! Double dot is so vibrant! Can't wait! So beautiful can not wait to get my hands on some!!!! The lace is an absolute dream. Added to wishlist!!!!!! These are outstanding!! I'm loving the lace - fabulous addition to your line up. The flowers are amazing. Can't wait to try some of these. >pop< there goes my pipe dream. Ah well, one needs dreams, right? Those are way too cute! I love the fall colors!! My fave! Oh and the blues! Wow, very nice! Love the color palette and the numerous styles!! Exciting new things! Thanks for sharing. I need this flowers to live!!! I love BoBunny and the new products do not disappoint! Can't wait to get my hands on the new line and scrap, scrap, scrap!!! Wow! THe blossoms and lace and colours and papers! Love it all so much! WOW!! The products and colours are amazing, can't wait to get my hands on these! Wow, gorgeous, I love the paperpads and the colours from all the stuff! WOW! I am in love with all of these new embellies!!! and the 6x6 paper pads are an awesome addition!!! Oh wow! These are all fantastic!!! I am so happy to see the flowers.....I love the flowers. Then I scroll down further and see the lace.....I'm going to be so poor. AND THEN, the 6 x 6 double dot paper pads.....this is brilliant!!! OMG love it all! especially the lace and double dot 6x6 pads :) can't wait to see more! 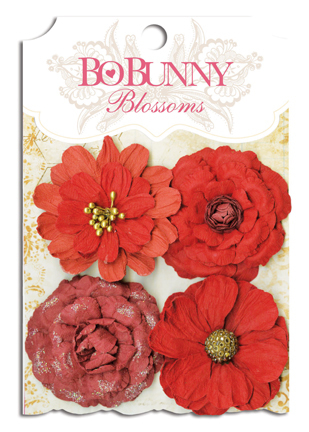 Love the lace and the paper pads,and who can live without flowers. Can't wait to see the rest, this looks so good. WOW, those flowers! Sorry if this posts twice. The crocheted flowers are amazing!! OMG!! 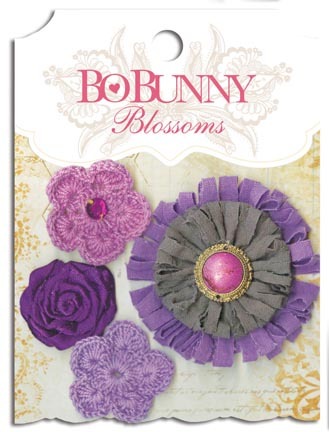 Just when I thought I had seen the prettiest of the stuff the trims show up and the new double dot is to die for!!!! I LOVE the crocheted flowers!! These are just too fun! I love all the bold colors and texture! LOVE, love, love all the flowers!! 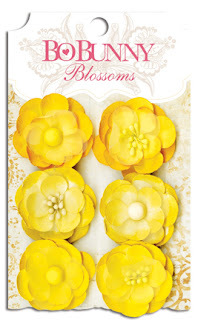 I am loving these new products, flowers have been an addiction and now it's really bad, gota get me some!! Everything is very pretty, nice colors! Gorgeous flowers, I love the dahlias. The first paper pack looks great too, I love the bright colors! I love all the new flowers in all the yummy colors! And I MUST have all the new double dot pads for my card making...they're a staple. Oh my these are absolutely GORGEOUS!!! So much fun. once again Great job Bo Bunny!! That's alot of flowers, and so many options in lace - but one of my must haves in crafting is a 6x6 pad - and now in Double Dot ! You'd make me a happy camper if I won anything ! Love the flowers and colors.....all of it! WOW!!! 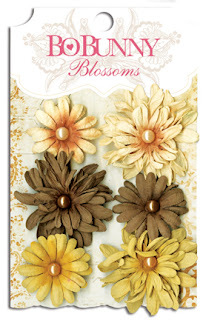 All of these are awesome, love seeing the flowers with doily's, and colorful laces, and the 6x6 pads rock. I love it all. Thanks so much for the sneak peek. Love them! CHA time is my favorite!! WOW look at all the blossoms and Lace trims. Wonderful. Awesome. I love the double dot paper... a great staple item that's not too plain. 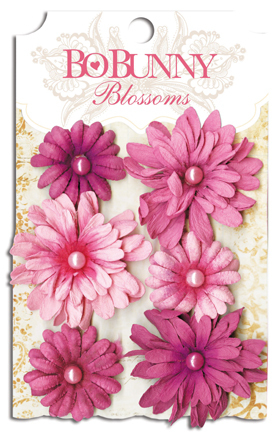 Beautiful flowers, lace and double dot papers. Love them all. I'd be more excited if I lived closer to someplace I could actually get this stuff! I WISH I could see them in person. It stinks not having a local scrapbook store that carries them. 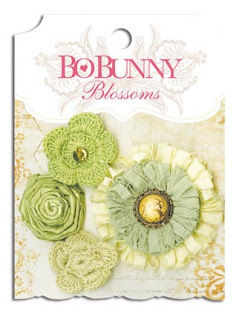 All we have is Michaels, Joann's, and AC Moore, and none of those have any new Bo Bunny stuff!!! Wow I can't believe how many new wonderful products there are! The flowers are gorgeous and I love the ribbon! Blossoms, lace and Double Dot! Could not ask for anything more!! I want it all!!! So pretty and so much detail....awesome! Gosh what an amazing addition to the already extensive collection. I love the sneak peeks of the holiday papers. Eagerly waiting for your classes at Scrapfest! I love DOUBLE DOT papers! Fabulous! I would love to hold some of this in my hands to get the full effect!!! I'm loving it from here too tho! I would like to win some so I could play with it and create something pretty. Oh My goodness!!!!!! It is tue morning here (Australia) and I look at your blog with my morning cuppa (on my phone, too lazy to turn on computer, wish I had though) and I and am more and more in love with each flower!!!!! They are amazingly stunning and beautiful. I adore the denim blue as blue is my favourite colour but they are all so beautiful. As I scrolled down and saw each new flower I was so excited. Well done Bo Bunny!!!! Love them!!!!!! 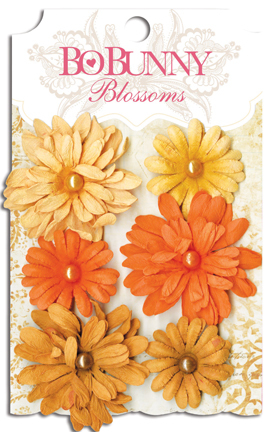 LOVE the new Very Vintage and Bold & Bright Double Dot papers, and all the blossoms and lace are beautiful! My favorites are the zinnias, but they're all gorgeous! Such beautiful colours and the flowers are amazing!So looking forward to seeing them up close and personal! Oh boy, oh boy, oh boy! New Bo Bunny...can't wait to get my hands on some of that! I've always been a Double Dot fan, so I am especially thrilled with what you are adding - I love the color selections and how the lace will blend in too! The lace looks lovely - not your typical colors, which will make my layouts unique! 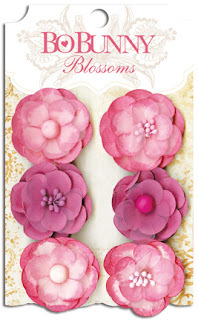 Love the new blossoms & paper lines. Gorgeous! very pretty flowers and love the colours! I need to win the lottery!! I so love all of this!!! I just love the double dots and the flowers are beautiful. Can't wait to see more. sooo coool!! i love the colors of the double dot pads!! Wow! These are all fabulous! 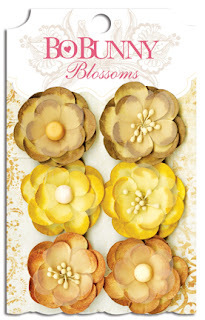 The flowers & lace are gorgeous, and I love the 6x6 pads. Awesome! adore the flowers, but the lace is the bomb! I love using lace on my projects and these colors rock! I love the flowers and lace. They are all gorgeous! everything is just so yummy !!! I love the double dots !!! Love it all. Can't wait to go get some to create with. Those flowers are gorgeous! I cannot wait to make some hair clips for myself with them! Lots of fun stuff.... Loving those flowers. Oh wow. 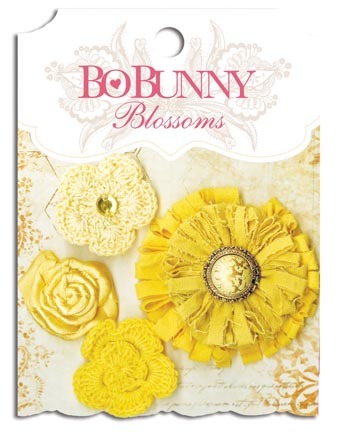 My fingers are itching to play with all those gorgeous flowers, laces and paper. I can't wait to be able to get some. Love the flowers, can't wait!! wow what a lot of pretty eye candy. Oh my!!! Everything is gorgeous!! Love it! So many choices. Makes it hard for those of us who have a difficult time making up our minds. WOW - the flowers and lace are amazing. already love your double dot! LOVE it all! That lace is divine! Love the Zinnia flowers - depending on your price point you will be giving Prima and Pettaloo a run for their money! Loving the sneek peaks - thanks for sharing! Once again I'm in LOVE!!! Amazing and I love everything!!! Double dot paper packs! I want!! And the lace, and the flowers and and and! Your flowers are awesome, especially the pansies, zinnias and daisies!! Holy deliciousness...these are absolutely gorgeous!!! Love all the lace, and the dot 6x6s are just what I wished for! Wow...I'm loving all the new flowers!! Definitely a must have!! Ooooh, I love me some flowers and lace. Beautiful Bo Bunny, can't wait to see more!! Love those Double Dot pads! LOVELY! Every single thing. Flowers to die for. Fabulous colors in flowers and papers. 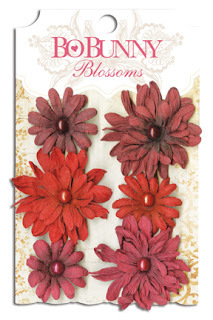 I am in desperate need of these colors and lace in my scrap room! OMG, love all of it. Those flowers are gorgeous and the lace ribbons. Love those colors. The best part is the 6x6 double dot paper pads. Can't wait for all of these new goodies to hit the stores. Thanks for the chance to win some. EEEEEEEEEEEEEKKKKKKKKKKKKKKKK!!! The party has begun and I am IN LOVE!!!!!! You all have seriously outdone yourselves!! WOW oh WOW!! This is the best thing that I have seen today. Love all these new embellies and such a variety of great colors. Love those 6x6 paper pads. Thanks for the chance to win some. I can't wait to get my hands on the 6x6 dot paper pads. 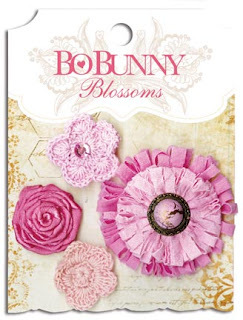 I especially love the crocheted blossoms. The dot papers are great. Flowers and lace are two of my weaknesses!! 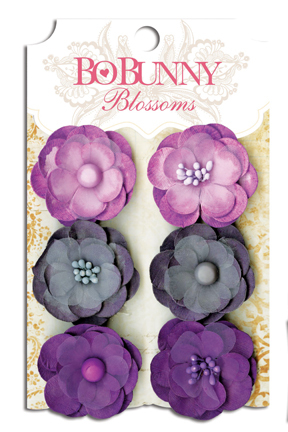 I love these and can't wait to use these gorgeous new products! Beautiful, beautiful flowers! I love the demension and choice of colors in each of the five deisgn sets. Love the new flowers and dot paper pads! Wow - amazing sneak peak - I love everything, but the Zinnia Blossoms have got to be my fave! Love the flowers and papers. Such great colors ! thanks for a chance to win ! 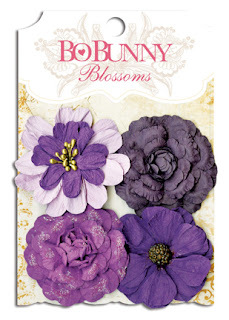 LOVE these new flower collections and the laces are gorgeous!!!! Excited to see these in person! Love the Double Dots and the crocheted flowers. This would be fabulous to win. This is all beautiful. I really love the double dot card stock paper pads. want.need.love....or is it need.need.love??? either way, you hurt us bad with so many choices! Love the flowers and the lace--and what could be better than Double Dot papers. BEAUTIFUL all! Wheehh... I'm so in love. Those flowers are beautiful. And the 6 x 6 paper pads are great to work with. Love the 6x6 pads! The flowers are also really cute! I really love them all!!! They're so adorable!!!!!! !